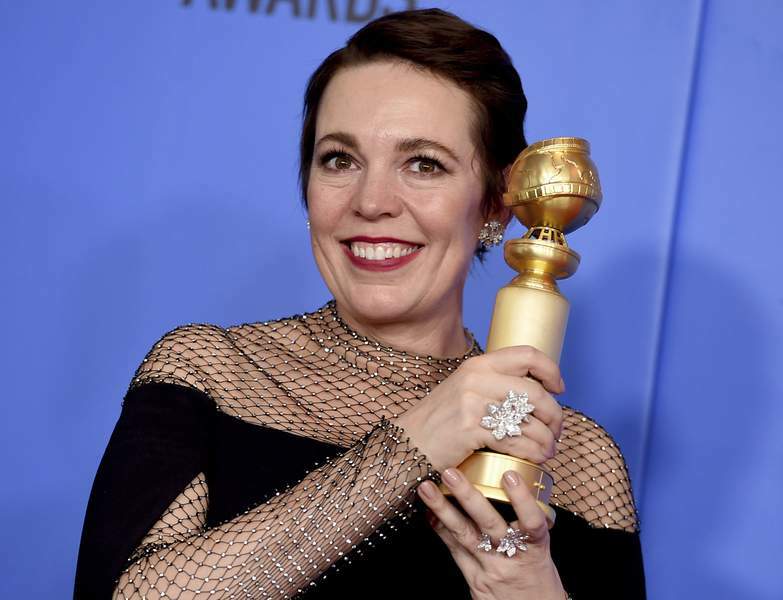 Associated Press Olivia Colman, who won a Golden Globe on Sunday for “The Favourite,” is also nominated for a British Academy Film Award. LONDON – Wickedly funny royal comedy-drama “The Favourite” lived up to its name Wednesday, leading the race for the British Academy Film Awards. Freddie Mercury biopic “Bohemian Rhapsody,” lunar drama “First Man,” autobiographical Mexican story “Roma” and musical melodrama “A Star Is Born” each received seven nominations for the prizes, considered an indicator of likely success at Hollywood's Academy Awards in what's shaping up to be an unpredictable awards season.